Nice group of signs... 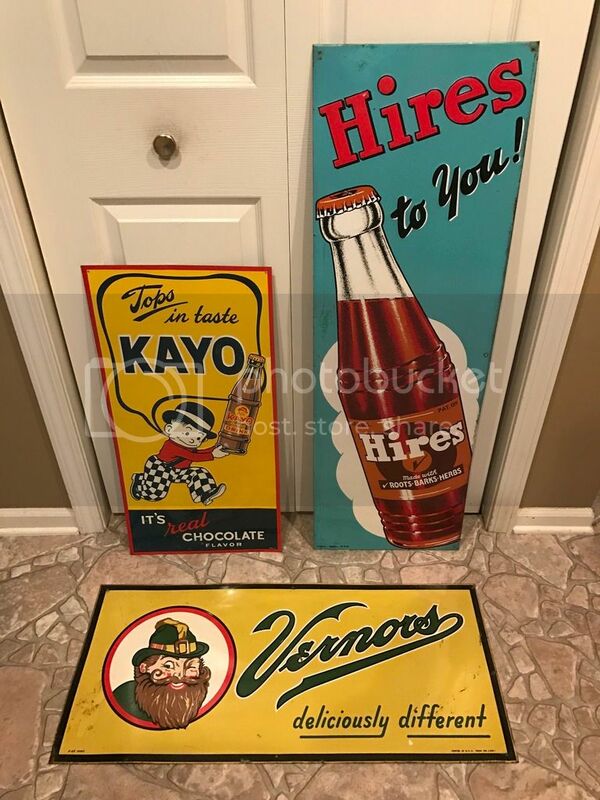 Hires measures about 41.5 by 13.5 inches, the Vernors is 33 by 15 inches and the Kayo is 27.25 by almost 14 inches. Last edited by warriorgas; Wed Dec 28 2016 10:34 AM. Last edited by kybred76; Sun Jan 01 2017 09:53 PM.